Preparing for the end of one’s life is not something that many people look forward to, but it is an essential and responsible action to take. When you pass away, you may be leaving financial dependents behind, a pile of debt for your loved ones to contend with, a spouse dependent on your contributions for their retirement plans, funeral expenses, and much more. Life insurance isn’t required for everyone, but there are significant reasons why most people may benefit from coverage. If you’ve decided to purchase life insurance to better prepare for the future, you’re probably wondering about how much coverage you need. Your policy’s death benefits directly affect your premium, so it makes sense to purchase a suitable amount of coverage without over-insuring yourself. These are a few of the top factors to consider as you determine your coverage needs. Life is expensive and despite our best efforts, the majority of adults have mortgages, credit card debt as well as car or business loans that build up over time. Understandably don’t want your loved ones to be stuck with it after you pass away. Therefore, it makes sense to add up the current amount of all your outstanding debts. Ideally, your coverage should be enough to pay it all off. Keep in mind that by doing so, your loved ones may be able to live more comfortably on less money. If your debt balance changes substantially in the future, you may need to reassess your coverage. Every family has their own unique financial situation to consider. If you’re part of a single-income family with one spouse who stays at home, the primary wage earner will need to have purchased enough coverage to replace his or her income so the family can continue to live comfortably. By doing so, the stay-at-home spouse may not have to return to work while mourning, and family members should be able to maintain their current lifestyles. If the stay-at-home spouse does plan to return to work, consider his or her earning potential based on their work experience and skills. Replacement income may still be necessary. If the stay-at-home spouse passes away, purchasing life insurance will still have been beneficial. Many people who stay at home still contribute to their families in various important ways, such as caring for the children, cleaning the house, grocery shopping, the list could be endless. There is a definite monetary value linked to these activities that should be accounted for. On the other hand, if both spouses work, the income differential must be analyzed. In some cases, both spouses earn enough to cover the family’s lifestyle and expenses on their own. In other cases, one spouse may require much more insurance than the other because of a substantial income differential. Further to determining the need to replace lost income, you should also consider any potential goals you may want to pursue with the money you receive as death benefits. For example, you may want enough coverage to be able to pay for your children to attend a four-year public college without having to worry about student loans. Perhaps you and your spouse’s retirement plans are contingent on the both of you regularly contributing to your retirement fund. In this instance, death benefits might be required to ensure your spouse is still able to retire as planned — albeit minus their life partner. These are, of course, just a few among the countless options that could potentially be pursued. There are several different ways to determine specific coverage needs. Some people purchase enough death benefits to supplement their family’s income for a specific number of years. One common period of time people follow is until their youngest child comes of age, or until the surviving spouse reaches retirement age. There is, however, another thoughtful way to approach this. 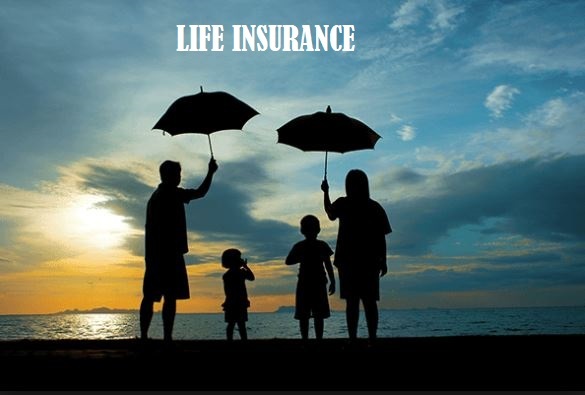 If you took the death benefits of a million dollar life insurance policy and were able to invest it at a five percent rate of return, it would produce an annual $50,000 for the family indefinitely, with no need to eat into the lump sum of the death benefits. After you’ve determined the ideal amount of death benefits your family will need, you can begin requesting quotes for coverage. Keep in mind that your age, the length of the term you select, your current state of health and many other factors will influence the rate. For example, a $100,000 term life policy for 10 years will be much more affordable than a $100,000 whole life policy that offers death benefits until the insured passes away. If you’re buying coverage on a tight budget, you may be able to find an affordable rate by adjusting the amount of coverage and term length. Ideally, of course, you should have adequate coverage to meet your survivors’ needs. As you can see, there are many factors to consider as you determine how much coverage you need. People have their own unique financial considerations therefore, it makes sense to review both your current and projected financial situation. Take your financial goals into account and develop a plan for your survivor’s best use of your death benefits. Then share this plan with your beneficiaries so they can maximize the proceeds.